Having access to high-quality water is one of the best things about living in a modern society, but there are still many parts of the world where people struggle from day to day to get this essential. Urban areas have the benefit of being governed by entities that have access to both the money and the technology for building large water treatment facilities. So, let’s talk a bit about how does charcoal filter water and how tap water can become more efficient and healthy than bottled water. When it comes to drinking water, there’s an issue with quality. 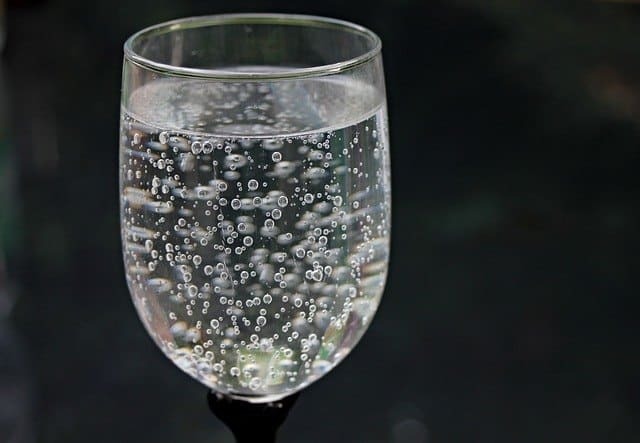 From bottled water to tap water, a number of contaminants can come in contact with the water, causing it to become either bad tasting or even harmful to the human body. 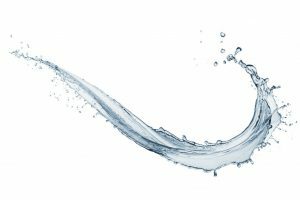 That being said, there are a number of solutions that anyone can apply to increase the quality of tap water since basically, drinking treated tap water is better for both the body and the environment. Waste comes in many forms. Bottled water is not just a waste of money, but it can also produce a lot of unnecessary waste. It’s estimated that, just in the USA, millions of dollars’ worth of plastic are wasted each year because of plastic water bottles that are discarded improperly. From that and a financial point of view, investing in a water filter will contribute to a safer future and bigger savings. 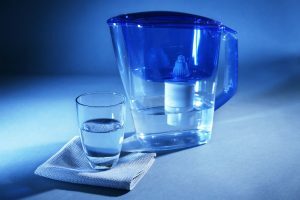 A lot of inexpensive water filters can deal with issues such as bad taste and odor present in tap water, as well as a number of other contaminants. For now, let’s focus on chlorine, its side effects and how to counter them. How Does Charcoal Filter Water? Before talking about how does charcoal filter water, let’s talk a bit about this kind of filter. 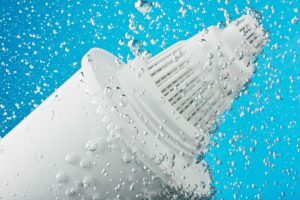 First and foremost, a charcoal filter is generally installed in water pitchers and tap water filters (the model that is connected right on the tap), but it has a very limited use. That doesn’t mean though that it’s a bad kind of filter; it’s just that it’s ineffective in a lot of scenarios. 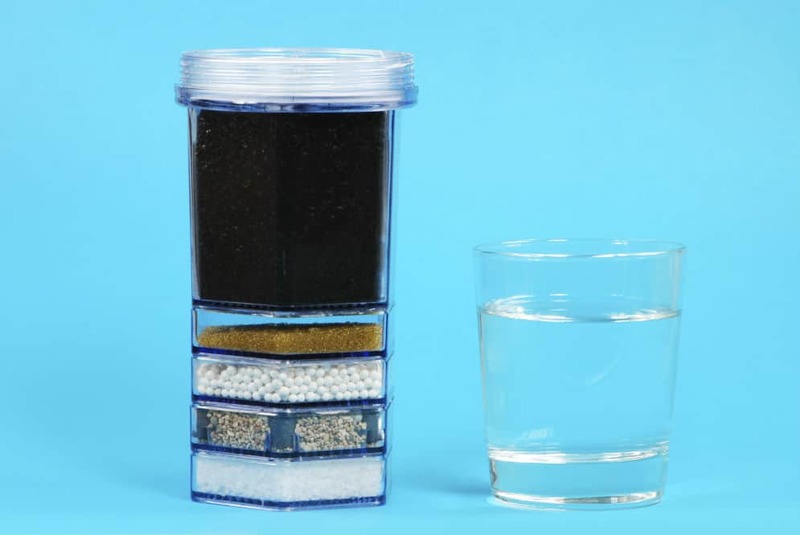 Charcoal filters use activated carbon technology to filter out most of the chlorine found in tap water, so it will improve the water’s taste without greatly reducing the water flow by much, which can be a problem with other types of filters and softeners. 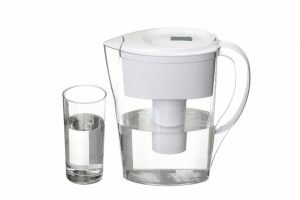 Additionally, the charcoal water filter is very inexpensive and effective at what it does. Charcoal and activated carbon are the same things, and the concept behind the filter lies in micropores. Carbon undergoes processing and becomes very porous. The pores are very, very small and just one gram of activated carbon can have a surface area bigger than three square kilometers. 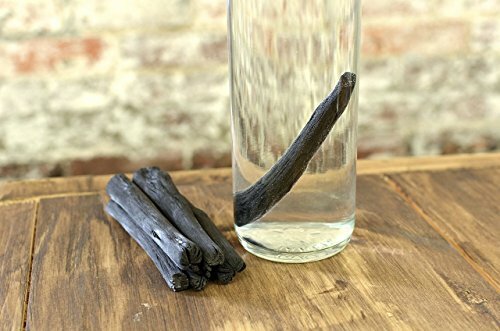 Two things make activated charcoal an amazing choice for a filter: it’s affordable, and it has an immense surface area compared to its size. The actual filtration process is called adsorption. It’s very close to a classical filtering process, but it’s very different from absorption. Think about it this way. A charcoal filter is a very small piece of material. It’s similar to a sponge but has much more pores. These pores are able to filter things like chemicals because the water is allowed to pass through it, but the chemical particles are not fine enough to do so. Something that not most of us know is that adsorption is a reversible process. Basic physics have taught us about expansion, and the effect heat has on items. Warm water will cause the filter to expand, meaning that most of the trapped particles will start flowing out back into the water. That isn’t such a bad thing for showers or cleaning dishes but think twice before trying to make tea with chlorinated water. 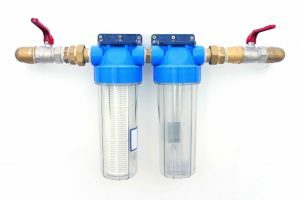 One of the main issues with using active carbon filters is that, although they’re very good at filtering chemicals, they do produce slow water flow. Take, for example, the outdoor industry. There are numerous filter straws and filtered water bottles that function under this principle. Almost all users will find it hard to sip through such a device because of how fine the pores are. 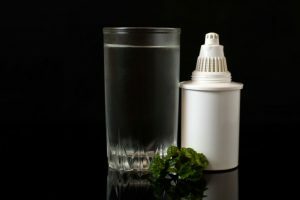 In addition, charcoal filters are not suitable for anything but tap water, making it dangerous to use such a product with a natural water supply. Depending on the filter in question, there are many ways to clean and maintain these systems. For starters, don’t trust anyone who says that there are ways to clean the filter itself. 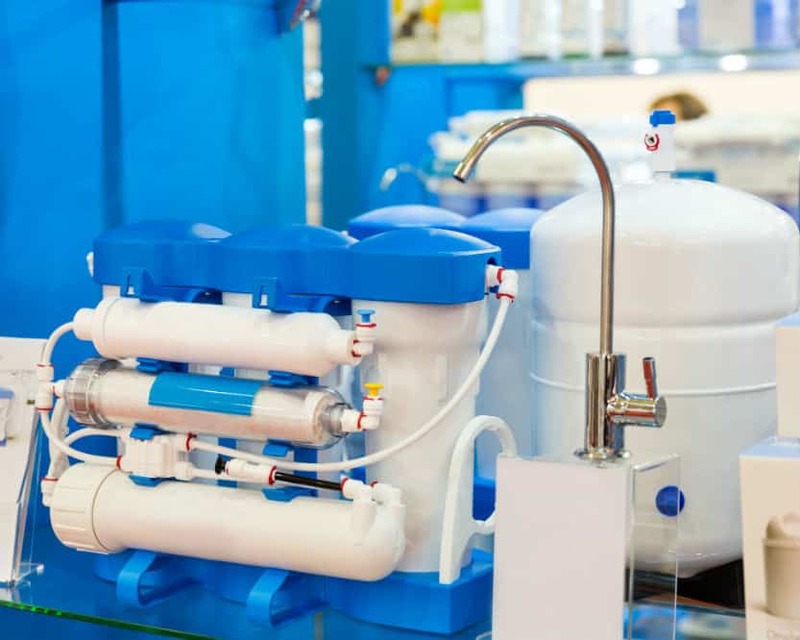 Adsorption is a process that wears out and ruins filters, so once they’ve reached the end of their lifespan, it’s time to swap them out with a replacement. More often than not, manufacturers will give users a detailed outline regarding how often they should clean and replace the filters. That being said, a change in water quality is a good sign that the filter needs changing and the system needs cleaning. 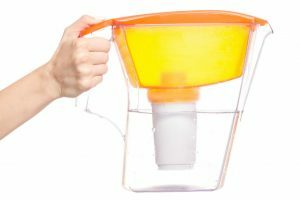 It’s very easy to clean both pitchers and tap water filters. You just need to take them apart and clean them by submerging the parts in a cleaning solution. Then, let sit for around 10 to 15 minutes before rinsing each of the parts. Take note though that you should avoid powerful detergents and cleaning solutions. Other than specifically-designed detergents, a filter owner can create a mixture of white vinegar and lukewarm water. After rinsing, if there are lingering sediments, a very soft brush or cotton bud can be used to wipe off any remaining goop gently. For harder stains, feel free to use a mild soap to ease things out. Charcoal filters are very common home-designated filtration solutions, which has been popularized by big industry names like Brita. They’re very affordable, easy to use and yield great results. Remember, by using a charcoal filter, you give an important contribution to the planet’s future, and you are also saving money. Buying bottled water regularly can really add up to your expenses which would otherwise have been put to better use.